Ah, Valentine’s Day. It’s a holiday about love, but also about stuffing yourself with chocolate. Some people are super into the holiday, and love sharing trinkets and tokens of affection with friends, family, and loved ones. And others? They’d rather all the hearts and cherubim and love stay as far away as possible, thanks. 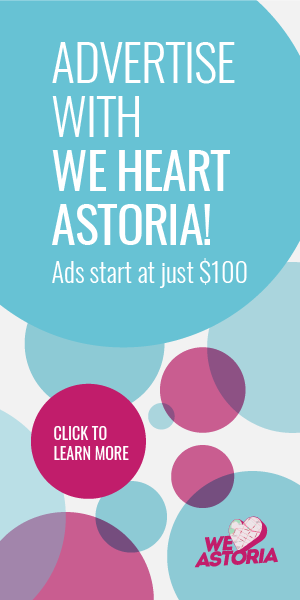 But luckily, Astoria has you covered either way. You can go all-out romantic, you can spend the day with family, or you can indulge in something other than all things red and lacy. Up to you. And because Valentine’s Day falls on a Thursday this year, there are Valentine’s events happening all week, so there are plenty of things to choose from. You can even go to several with all your Valentines! Here’s what the neighborhood has in store. If you’re looking for a good and romantic couples’ activity that isn’t dining out, check out the Valentine’s Day special tango lesson at Sol Dance Center. Perfect for people who like to dance, it’s a fun way to learn some new steps and about tango as a tradition. The event is Sunday, February 10 at 3pm. There’s a lot of dancing in Queens this Valentine’s Day! On February 14, from 9:30 to 11:30pm, Salsa In Queens will be hosting an intimate, after-dinner dance party featuring salsa and bachata music. Don’t know the steps? That’s okay. Mini lessons are integrated into the evening, and wine and desserts will be served. Tickets are available for singles and couples. 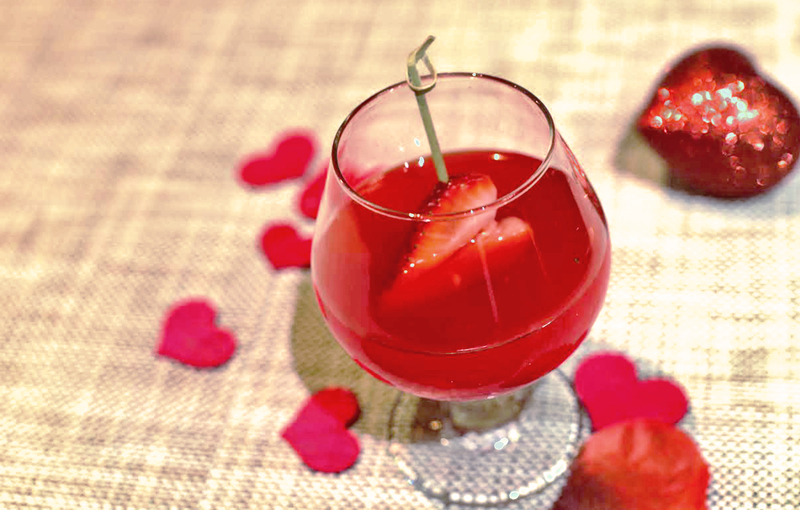 DiWine Restaurant & Bar is hosting a prix fixe dinner this Valentine’s Day, featuring some of their most popular dishes along with two romance-themed cocktails: the Glitter Valentine (pictured above), which sparkles with edible glitter, and the Jack Rose, a 1920s throwback. In keeping with the ’20s vibe, there will also be live jazz from 8 to 11pm with The Chris Beaudry Trio. Single and looking to mingle? 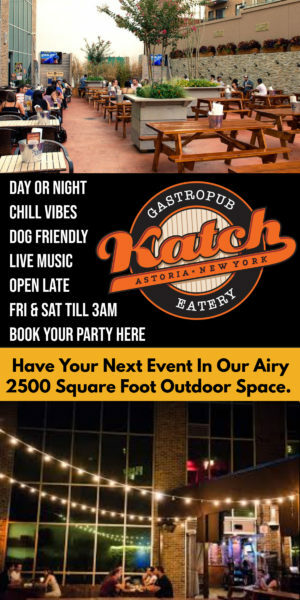 Dive into the belly of the beast with speed dating at Katch Astoria on February 14 from 7 to 9pm. Meet up to 20 new people in one night and see if any sparks fly. If not, you’ll probably come away with at least a few good stories. Tickets are available online, and there’s a one drink minimum, but you’ll be fine with that. Gastroteca Astoria is offering a scrumptious prix fixe dinner this Valentine’s Day so you and your honey(s) can enjoy a romantic dinner. Choose from a selection of appetizers, pasta dishes, main courses, and desserts, and the dinner comes with prosecco, too. Partiesmania is hosting a Valentine’s Day dance party for the whole family on Wednesday, February 13 from 6 to 7:30pm. 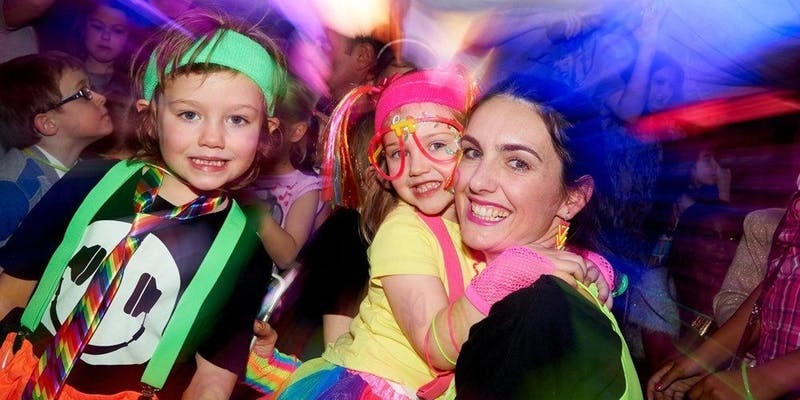 Get your little ones to groove under a disco ball and black lights with free glow-in-the-dark party favors and bubbles, as well as cotton candy. All adults must be accompanied by a child or children, please. Tickets are limited, so act fast. Looking for something a little less lovey-dovey QED has a number of events happening Valentine’s week, including a Valentine’s-themed Golden Girls Bingo so you can enjoy some sassy ladies. Costumes are encouraged, so break out your shoulder pads. Get tickets for this, and all other QED events, online. On the 15th, QED will be hosting “Shame!” in which comedians confess their shameful, shameful moments. This event occurs monthly, but maybe this month, with its proximity to Valentine’s Day, it will be extra juicy. If you happen to be feeling regretful about a Valentine’s encounter, maybe check this out to feel better about yourself. Who needs candlelit dinners when you can go shopping? (Actually, you can do both, but hey.) On Wednesday February 13, all four Lockwood locations will be hosting raffles and sales as part of their Galentine’s celebration. There’s free notebook monogramming at Lockwood Paper, and a full candy bar at Lockwood. 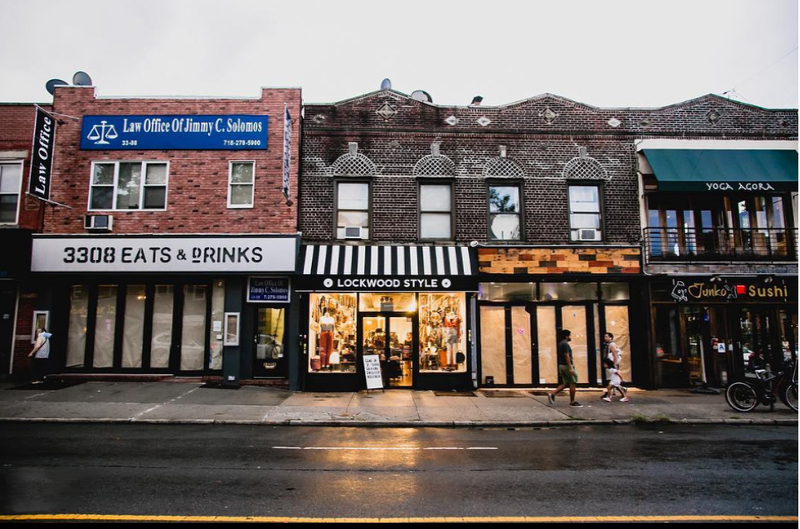 Lockwood | 3215 33rd St.
Lockwood Jackson Heights | 77-13 37th Ave.
Want to celebrate Valentine’s Day but also give back a little? 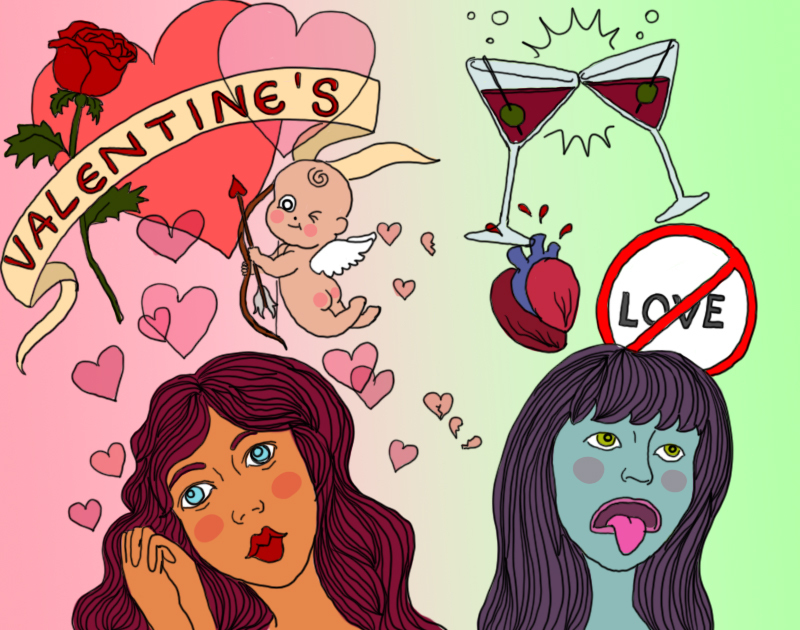 The folks who presented Astoria Song Swap are hosting Galentine’s Day 2019: Planned Parenthood Edition at The Local Bar on 31st Avenue on Saturday, February 16 at 7:30pm. The collaborative show is looking for people to sing songs, read poems, and more, so if you feel like performing, check out the details on the Facebook event page. All proceeds go to Planned Parenthood. On Monday, February 11, QED will be hosting Myq Kaplan and a whole crew of comedians. It’s standup for a cause, with proceeds going to the Caribbean Equality Project (CEP), a nonprofit seeking to give voice and representation to Caribbean LGBTQ folks. Tickets are available online. What are your Valentine’s Day plans? Something romantic…or maybe not so much? Let us know your ideal Valentine’s date in the comments!